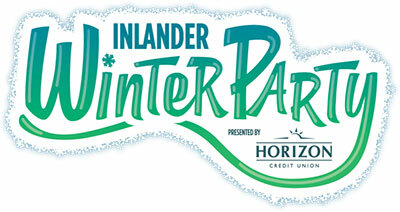 Inlander Winter Party, featuring Snowlander Expo and PowderKeg Brew Festival, returns to the Spokane Convention Center this Friday and Saturday, November 9 & 10. There will be lots of shopping, live music, and prizes both days. More than a dozen regional ski resorts will be there to share the latest news about skiing their spots in Washington, Idaho, Montana and Canada and will be offering special deals, like specials on season passes, single-day lift tickets and stay-and-play packages. PowderKeg Brew Festival will offer 40 varieties of beer and cider. Proceeds from PowderKeg benefit Habitat for Humanity-Spokane. The first 2,000 attendees each day will receive a free lift ticket to 49 Degrees North Mountain Resort or Mount Spokane Ski & Snowboard Park. 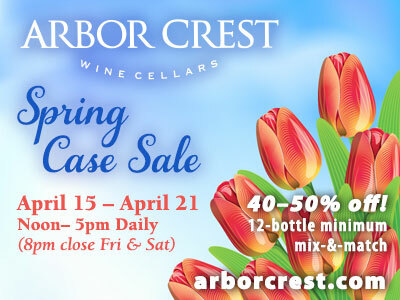 Hours are Friday 4-9pm and Saturday, 10am-7pm. Tickets are $10 at the door or online at ticketswest.com. Children 12 and under are free. For more information visit winterparty.inlander.com. The First Interstate Center for the Arts, formerly known as the INB Performing Arts Center, is reopening this week after a six month closure while undergoing a $22 million interior renovation. The first event will be the Rock The First Interstate Center concert on tonight, November 5 starting at 6:30pm. The concert is presented by Lydig Construction and will feature blues-rock sensation ZZ Ward and Northwest indie favorites Pickwick. Free tickets are available at ticketswest.com. Hope Outfitters is a new business locating across from Athleta on the second level of River Park Square, with a grand opening on Saturday, November 10. Hope Outfitters is a faith-based apparel retailer, creating their own products, and donating 100% of their profits to charity. Every 12 months they choose a new campaign with a charity or specific cause. To celebrate their grand opening, Hope Outfitters will be offering 25% off all merchandise in the store, as well as doorbuster promotions the morning of November 10, and a drawing for a giveaway. Get more information at hopeoutfitters.com. The YMCA of the Inland Northwest is opening a branch in Sandpoint, formerly Sandpoint West Athletic Club, located at 1905 Pine Street. The transition is expected to be completed early next month. The YMCA has long had a program presence in Sandpoint through youth development programs such as youth sports and summer day camp. The website is ymcaspsokane.org. Starting Tuesday, November 13 and ending Thursday, November 15, The Salvation Army of Spokane is celebrating its annual Red Kettle Kick Off throughout Downtown Spokane. Local business leaders are joining efforts to ring bells at the iconic Red Kettles and help The Salvation Army raise money for its important programs which support vulnerable women, children and families in Spokane. For three days, Red Kettles will be featuring executives from leading Spokane companies ringing bells. Washington Trust Bank CEO Pete Stanton, and his wife Denise in partnership with The Salvation Army challenged their corporate friends - CEOs, VPs, Directors, Managers and other staffers - to join them in kicking off the season. The Salvation Army encourages the public to visit the Red Kettle event downtown, meet the corporate leaders, and give to the Red Kettles. The total amount raised (kettles and online) will be announced by The Salvation Army next week. River Park Square will be working in conjunction with a group of Spokane Firefighters, IAFF Local 29, that have volunteered to assemble the Christmas tree. The 50-foot-tree serves as the iconic symbol to downtown Spokane each year announcing the holidays are here. The assembly will take place in the River Park Square Atrium on Monday, November 12 and Tuesday, November 13, beginning at 8am both days. The tree will be ready for Santa's arrival on Friday, November 16 at 6pm. This Thursday November 8, the Southside Community Center will hold its annual Veterans Day dinner, with retired Air Force Col. Brian Newberry as keynote speaker. Dan Kleckner of KHQ News is Emcee. Dinner will be from 5:30-8:30pm. Veterans eat free. For all others, cost is $15. 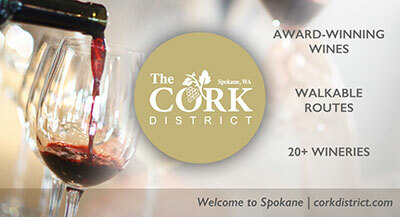 Call 509-535-0803 for reservations. Southside Community Center is located at 3151 East 27th Ave. on Spokane's south hill. "If you are determined enough and willing to pay the price, you can get it done."